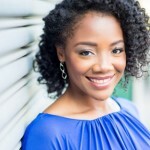 This recipe was recently freshened up with new photos! Enjoy! It’s been a gorgeous fall. In addition to the great weather and beautiful foliage, I’m loving the return of cool season vegetables. Brussels sprouts are one of my favorites – especially baby Brussels sprouts. Over the past few weeks, I’ve tasted them in many ways: fried, glazed, roasted and sautéed with apples. I like working with baby Brussels sprouts. They are sweeter, cook faster and so darn cute! The smoked sea salt is my little secret for adding a hint of deep, smoky flavor. Bacon works too but I wanted to keep this one vegan. I used a balsamic vinegar syrup (just balsamic vinegar and brown sugar cooked down) to add sweetness and tanginess at the same time. The earthy flavor of toasted walnuts rounds out the dish and delivers a little extra crunch. 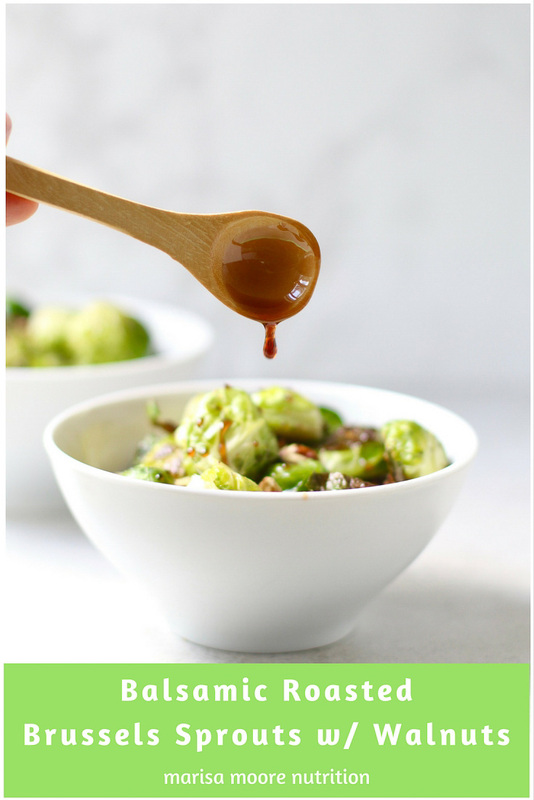 This Brussels sprouts recipe was so easy to make. I may or may not have eaten the entire batch… in a day. 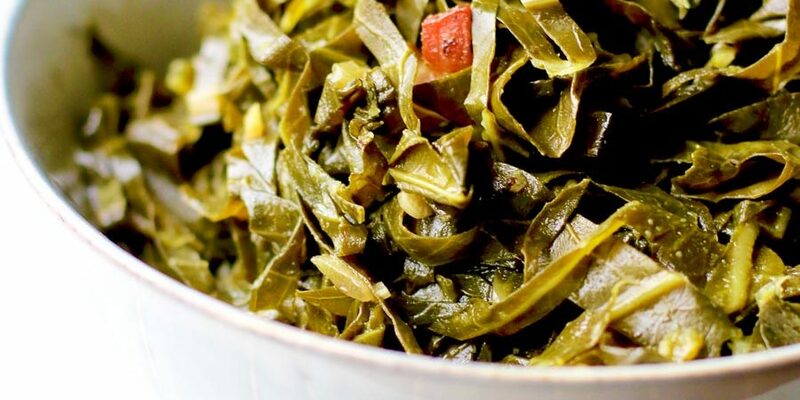 It’s the perfect side dish for fish and it would be an easy vegetable side for your Thanksgiving feast. Be sure to PIN this recipe for later! And tag me on Instagram when you make it! 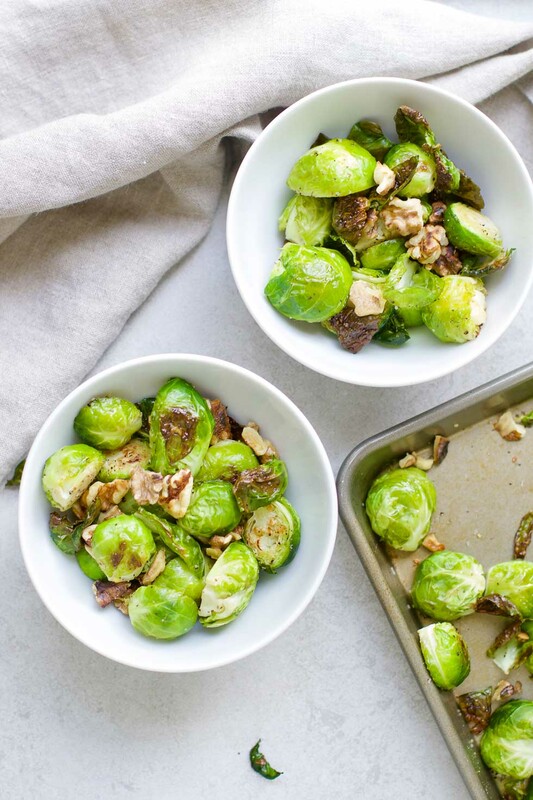 These vegan Balsamic Roasted Brussels sprouts with Walnuts make the perfect fall side dish. Toss the baby Brussels sprouts with the extra virgin oil, oil, smoked salt and cracked black pepper. 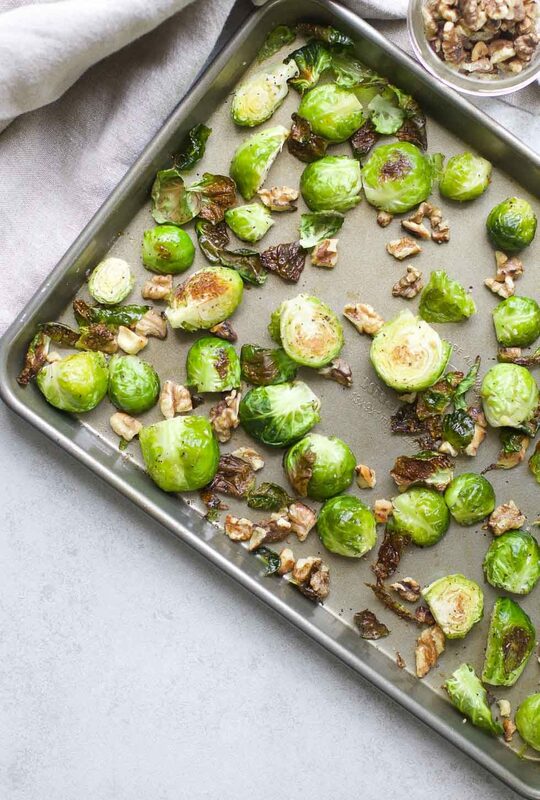 Spread the Brussels sprouts onto a baking sheet. Don't crowd the pan. Roast the Brussels sprouts for about 20 minutes (or until slightly browned), turning once. When done, add the toasted walnuts and balsamic syrup. Serve warm or room temperature. 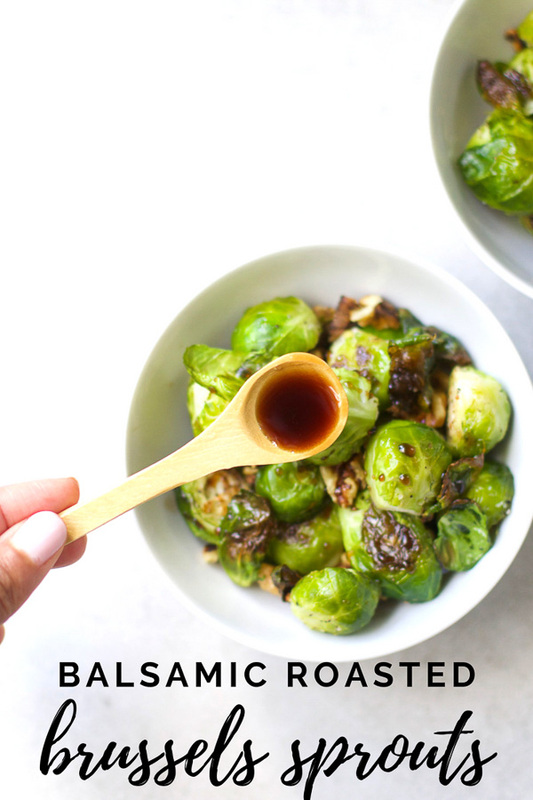 Make the balsamic syrup: Add the balsamic vinegar and brown sugar to a small saucepan. Gently heat until the sugar dissolves, small bubbles form on top and the mixture thickens. Store any leftover syrup in a sealed jar or bottle in the refrigerator for up to a month. Brussel Sprouts are my FAVORITE veggie! Can't wait to try this amazing recipe - it looks SO GOOD! I love brussels sprouts! This dish looks delicious and I love the addition of walnuts that add crunch and make it so festive too! Now I have to seek out smoked sea salt. I bet that adds an amazing extra layer of flavor. Roasted brussels sprouts are so good.